Life sometimes gets in the way of dinner, but that doesn't mean that you can't make a quick meal using your farm fresh ingredients. I had peppers from the farm share, a good coupon for some smoked sausage, one for pierogies, and found brat & sausage rolls marked down when I stopped at the store. Quick meal in under 20 minutes! Forgot the peppers and onions. Again. Preheat 2 skillets on medium heat. Preheat the oven to 350. Add a turn of oil to both. Prep the veggies and place the onions in one skillet. Start the pierogies in the other skillet. After the onions start to soften, add the peppers. Continue to sauté until the veggies are softened. Flip the pierogies (follow package directions on the timing, but for me it was after the veggies in the other skillet were just about done). 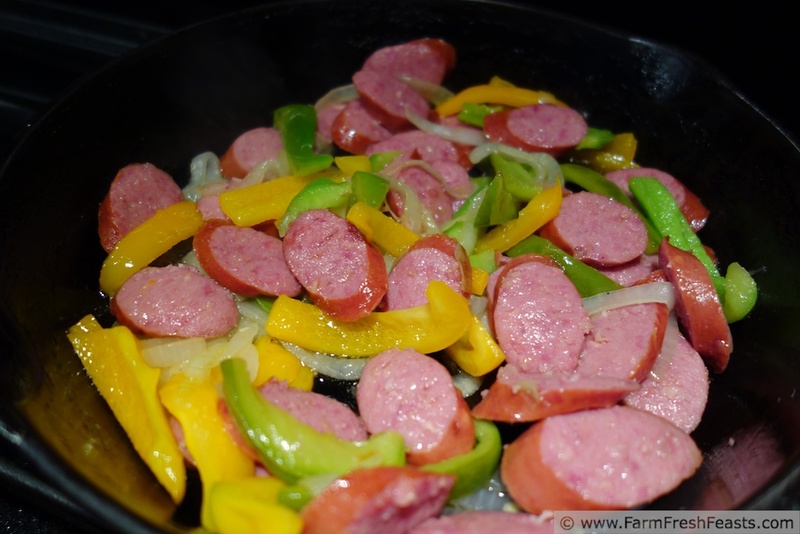 Add the smoked sausage slices to the veggies. 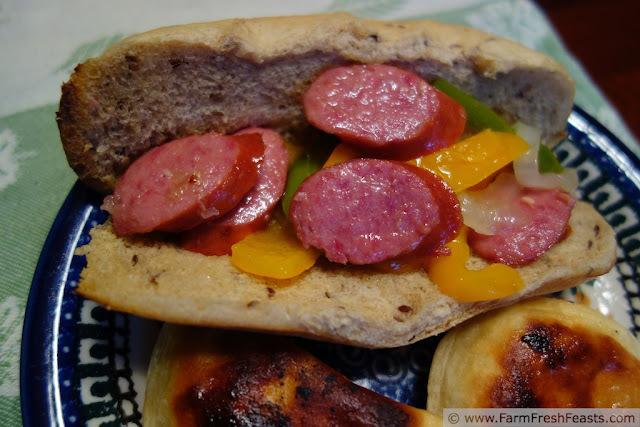 Place the brat rolls (it's a midwest thing, I think, and I like it) on a baking sheet in the oven to warm. Spread mustard (we chose dijon but the kids went for yellow) over the warmed bun, then top with peppers and sausage slices. 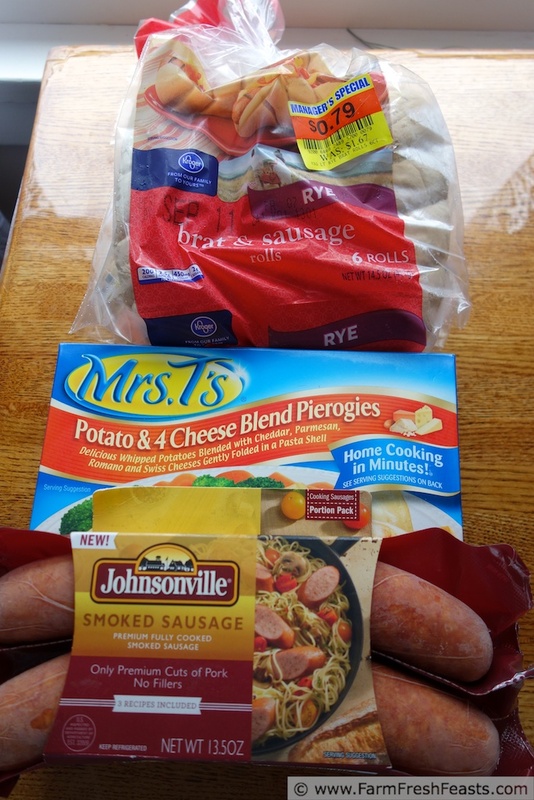 Serve with pierogies.